Cooking delicious meals for their loved ones every day is the norm in India. Those noisy spluttering temperings are pleasantly aromatic for sure. However, frying, steaming, grilling involves oils and spices that potentially leave their imprints on kitchen walls and ceilings. Thankfully kitchen chimneys from the best kitchen chimney brands come handy these days. Following modern kitchen chimney brands maintain a clean odorless kitchen by absorbing fumes and protect people from possible breathing problems. Hindware chimneys are consumer appliances with a flagship of Hindware brand renowned for trustworthiness around 60 years now. The autonomous features of Hindware chimneys make them the best kitchen chimney brands in India. Trusted nationwide due to their constant efforts to deliver innovative, excellent quality, superlative designed products. Aesthetically crafted and technologically advanced kitchen appliances category was forayed as part of their expansion strategy under the brand Hindware Kitchen Ensemble. This coupled with a commitment to customers placed them into ‘Fortune India 500’ 2014 list. Their chimneys are futuristically crafted to create a sleek, durable, stylish yet high-performance range using stainless steel and toughened glass top finish. The only drawback is frequent maintenance of some accessories (like PVC pipes) and the extra costs for installation. Reasonably priced Italian designs’ and European craftsmanship maintain a clean smoke-free cooking environment and great looking kitchen. 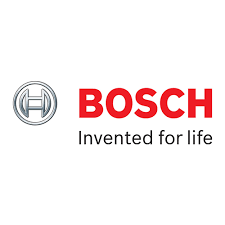 Bosch is part of 3rd largest home appliances company on the globe, the Bosch and Siemens Home Appliance Group. In India, Bosch set-up its manufacturing operation in India in 1951. It now has grown to more than 6 development centres and at least 18 manufacturing sites. It is a brand well-known in the market for high-quality electronic products. Easy to install and use kitchen chimneys are readily available in stores and online. German technology crafted Bosch chimneys is one of the best kitchen chimneys in India. Space for installation of a few Bosch models can be a problem for the middle-class Indian kitchen. Its most reliable brand on board with useful features, good warranty claims, and competitive prices compared to other brands. They score well in reliability and customer service which are the most important criteria for appliances. The world leader in kitchen hoods and chimneys is based out of Italy and was incepted in 1955. Characterized by dynamism, durability and dedication Faber holds a key position as an innovation driver in kitchen technologies. All over the world Faber kitchen chimneys are known for one of its kind solitary 3D Y2S2 Technology across the industry. Though highly priced you can avail attractive discounts from time to time and also lifetime warranties. 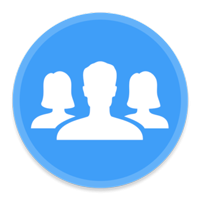 Today they are spread over 3 continents, 13 countries and a marketing office in the United States. Due to ever challenging globalisation, Faber acquired Franke Group in 2005. With a turnover of more than €220 million, they also put up a plant in Pune, India. It was established with a vision to offer high-quality aesthetics and word class service to markets in India. Pune unit is to be the export hub for the Middle East and the Asia Pacific regions. 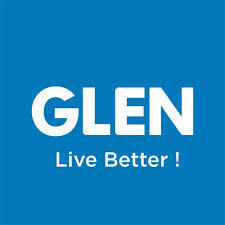 Glen Appliances private Limited was formulated in 1999 in Faridabad India. It is listed in top suppliers of kitchen chimneys and home appliances today with a turnover of 22 crores. Glen chimney hoods are easy to install and clean. The ductless chimneys are perfect for the Indian style of cooking. Italian motor technology is designed skillfully to reduce noise and enhance the durability of the appliance. Attractive curved glass designs are capable of transforming your kitchen into an artistic cooking masterpiece. Additional warranties on powerful chimneys, quality products at affordable prices are the main differentiators’. Professional excellence, integrity, trouble-free usage and long term customer relationships secure them a place among best kitchen chimney brands in India. Elica SpA and Elica PB India Private Limited joint ventured in India in 2010. However, Elica Corporation began its operations in kitchen and electric motors long back in 1970s. At present they are functional worldwide with plants in Italy, Poland, Mexico, India ,Japan and China. Elica brand is world’s leading producer of household appliances designed specifically for domestic usage. Ergonomically designed hobs, ovens, hoods, boilers and sterilizers are made of high-quality material for safe household usage. Their manufacturing unit located in Pune, India produces over 15 models of built-in hobs and more than 50 editions of kitchen hoods. It is noteworthy that they use Italian prowess in automated assembly lines. Their presence has revolutionized kitchen appliances industry altogether not only in India but Asian markets. Thanks to modern chimneys, its time to forget the cumbersome kitchen cleaning chores. Just cook sumptuous meals without the fear of watery eyes, the odour of spicy seasonings and a grimy kitchen with the help of the best kitchen chimney brands in India.